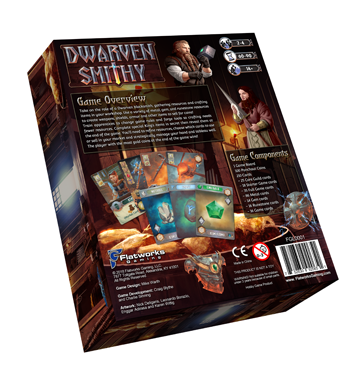 Dwarven Smithy is a 2 to 4 player, card crafting game with hand and area management. The game is competitive but not combative. 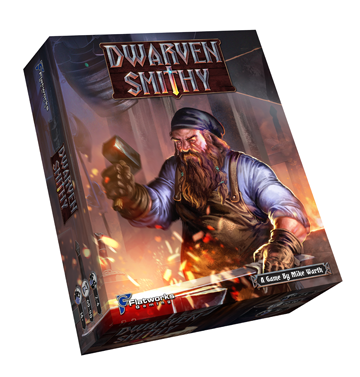 Players take on the role of a Dwarven blacksmith gathering resources and crafting items in their workshop. Players use a variety of metal, gem, and runestone resources to create weapons, shields, armor and other items to sell for gold! Hire apprentices to change game rules and forge tools so crafting needs fewer resources. Craft special King’s items in secret then reveal them at the end of the game. 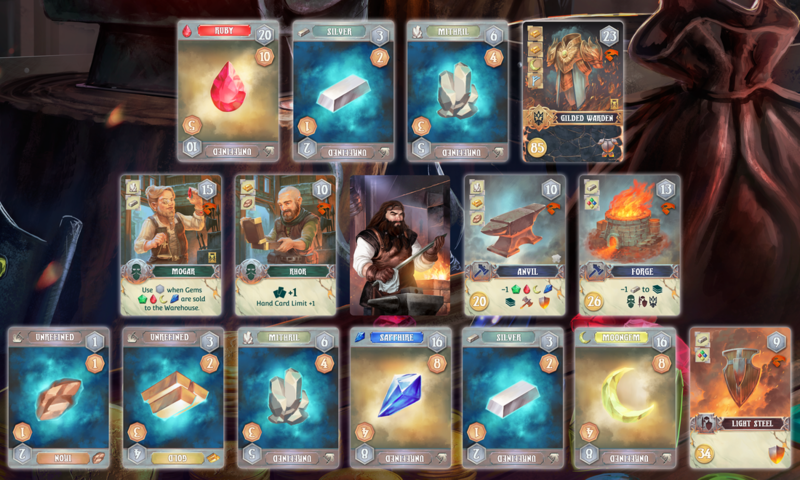 Players need to refine their resources, choose which cards to use or sell, and strategically manage their hand and tableau well. ​The player with the most gold at the end of the game wins! Specially designed for each player's tableau. ​Enggar Adirasa and Leonardo Borazio. Coins and Game icons illustrated by Karin Wittig.